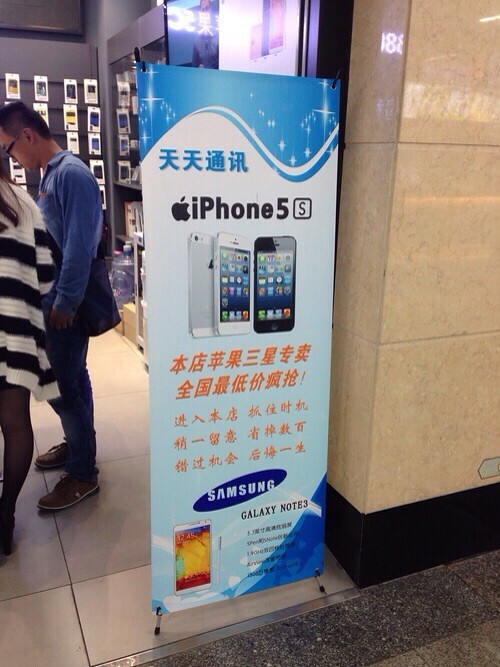 After pre-orders started for the iPhone 5s and iPhone 5c on China Mobile, photos by PRC and ME show the carrier aggressively promoting Apple products in its stores. 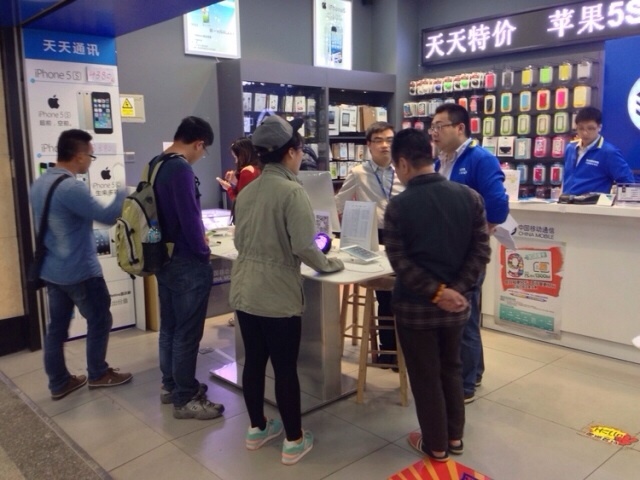 The photos come from the carrier's store at Link City shopping mall in Shenzhen, where we see banners and signs advertising the new Apple products the carrier is selling. Reportedly, the space now occupied by Apple products was primarily home to Samsung and Android devices, which dominated the market. 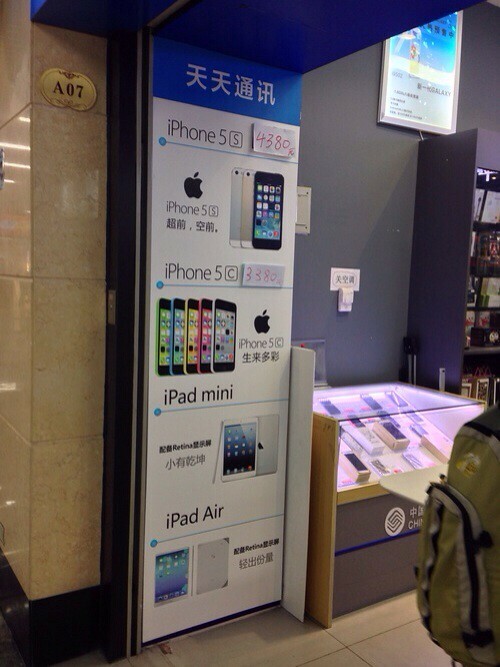 Advertisements on the wall showed what I believe to be discount pricing (probably with contract) of 4380元 ($723) for the iPhone 5s and 3380元 ($558) for the 5c. Of the two display tables in the store, one was dedicated to iPhones and iPads and there was a pretty good crowd around the table as I passed by. Not only were there Apple advertisements all over the place, but even Phil Schiller was present, his A7 chip announcement playing on a flatscreen TV. A majority of the ad and display space in the store had been dedicated to Apple. If this is any indication, China Mobile is planning to aggressively promote their new Apple partnership in the hopes of blunting any advances from China Unicom and Telecom. The China Mobile and Apple deal could be huge for both companies, as some analysts expect it could bring in more than 35 million iPhone sales in 2014.